Label: Speedstar. Country: Japan. Year: 2007. Format: CD. OBI: VG ( wear from storage ). Jewel: VG ( wear from storage ). Simon Grey. - RF Presents. [New CD] Japan -. excellent new still in the wrapper condition. 3~5 MINI LP CD. Our specialized fields are in rare Japan. hard to find records and new Japan cds. if your item had any problems such. We must work hard to solve. the problem and make it right. We promise to work hard on. 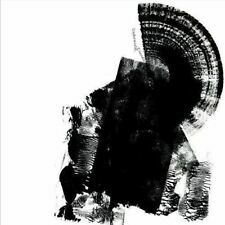 2 [Disc 1] DAFT PUNK IS PLAYING AT MY HOUSE (SOULWAX SHIBUYA RE-REMIX) / LCD Soundsystem. 3 [Disc 1] DOMINATOR (SOULWAX EDIT) / Human Resource vs 808 State. 4 [Disc 1] GRAVITY`S RAINBOW (SOULWAX REMIX) / The Klaxons. 14 CAN'T TAKE MY EYES OFF OF YOU(STONEBRIDGE REMIX). JAPAN CD Ltd/Ed. Release Date Our specialized fields are in rare Japan. hard to find records and new Japan cds. 3~5 MINI LP CD. We usually dispatch your favorite music. ArtistLONDON ELEKTRICITY. THE BEST OF LONDON ELEKTRICITY. 1 LONDON ELEKTRICITY HISTORY MASH-UP MIX(1996-2007). 13 WORK AND PLAY. Our specialized fields are in rare Japan. hard to find records and new Japan cds. 3~5 MINI LP CD. Our specialized fields are in rare Japan. hard to find records and new Japan cds. We must work hard to solve. the problem and make it right. We promise to work hard on. happens or we make a mistake. OBLIVION WITH BELLS. 3~5 MINI LP CD. Our specialized fields are in rare Japan. hard to find records and new Japan cds. if your item had any problems such. We must work hard to solve. the problem and make it right. FORGET ABOUT. Our specialized fields are in rare Japan. hard to find records and new Japan cds. 3~5 MINI LP CD. if your item had any problems such. We must work hard to solve. the problem and make it right. FASCINATING TININESS. JAPAN MINI LP CD. 3~5 MINI LP CD. Our specialized fields are in rare Japan. hard to find records and new Japan cds. if your item had any problems such. We must work hard to solve. OBLIVION WITH BELLS. JAPAN CD DVD. AUDIO CD DVD (REGION 2). 3~5 MINI LP CD. Our specialized fields are in rare Japan. hard to find records and new Japan cds. if your item had any problems such. We must work hard to solve. 3~5 MINI LP CD. But rarely unexpected stuff. hard to find records and new Japan cds. Our specialized fields are in rare Japan. We promise to work hard on. We must work hard to solve. happens or we make a mistake. ArtistALTER EGO. 3~5 MINI LP CD. Release Date Our specialized fields are in rare Japan. hard to find records and new Japan cds. the problem and make it right. In 2008 the year The Who had a. happens or we make a mistake. BOY-JAPAN CD C41. 3~5 MINI LP CD. Our specialized fields are in rare Japan. hard to find records and new Japan cds. if your item had any problems such. We must work hard to solve. the problem and make it right. ArtistTHE SECRET HANDSHAKE. ONE FULL YEAR. But rarely unexpected stuff. hard to find records and new Japan cds. Our specialized fields are in rare Japan. 3~5 MINI LP CD. 12 MAKE YOU MINE. the problem and make it right. ArtistNATHAN HAINES. BEST OF MODERN JAZZ FUSION. 12 DUDE DOOT(FEAT.LYRIC L-ASHLEY BEADLE HORNY MIX). hard to find records and new Japan cds. Our specialized fields are in rare Japan. New Unopened. 3~5 MINI LP CD. Release Date 3~5 MINI LP CD. We usually dispatch your favorite music. also before we dispatch it to you. Our specialized fields are in rare Japan. hard to find records and new Japan cds. We promise to work hard on. ArtistALEX GOPHER. hard to find records and new Japan cds. Our specialized fields are in rare Japan. 3~5 MINI LP CD. We must work hard to solve. the problem and make it right. We promise to work hard on. BETA VERSION. 3~5 MINI LP CD. Our specialized fields are in rare Japan. hard to find records and new Japan cds. the problem and make it right. if your item had any problems such. We must work hard to solve. Pusher [cd2] CD (2007)Title: Pusher [cd2] Genre: General|tbc Duration: 33.30 mins Format: CD / Single Type: CD No. of Discs: 1 disc(s) Studio / Label: Positiva UK Release Date: 02 Jul 2007. Armand Van Helden ‎– Witch Doktor. 1 Witch Doktor (BSOD Remix). 2 Witch Doktor. Producer, Mixed By – Armand Van Helden. 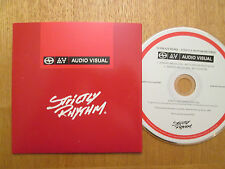 Scion Audio/Visual ‎– SA/V 002-04, Strictly Rhythm ‎– SA/V 002-04. CD, Single, Promo. Title: New York Monogatari / Yamakawa Yutaka Dance. Artist: Yutaka Yamakawa. Genre: J-Pop, Japanese. Label: EMI Japan. Artist: SoulStice. Title: Dead Letter Perfect. Format: CD. Be Perfect. Not Perfect. World's on Fire. Item Condition: New and unplayed. Get It Right. UTTERS FROM A CLUTTERED MIND. 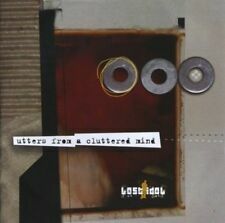 ArtistLOST IDOL. 3~5 MINI LP CD. Our specialized fields are in rare Japan. hard to find records and new Japan cds. We promise to work hard on. We must work hard to solve. Artist: Tomita. Title: Snowflakes Are Dancing. Attributes: Japan - Import. Format: CD. ArtistISAO TOMITA. 3~5 MINI LP CD. Our specialized fields are in rare Japan. hard to find records and new Japan cds. if your item had any problems such. We must work hard to solve. the problem and make it right. 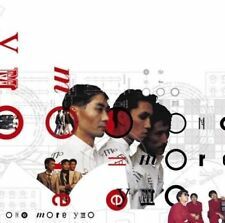 ONE MORE YMO. ArtistYELLOW MAGIC ORCHESTRA. 11 GREEN BACK DOLLER. hard to find records and new Japan cds. Our specialized fields are in rare Japan. 3~5 MINI LP CD. We must work hard to solve. the problem and make it right. JAPAN DIGIPAK CD. CLOSER TO JAPAN. 3~5 MINI LP CD. hard to find records and new Japan cds. Our specialized fields are in rare Japan. also before we dispatch it to you. We promise to work hard on. We must work hard to solve. ArtistPITCH BLACK. 3~5 MINI LP CD. Our specialized fields are in rare Japan. hard to find records and new Japan cds. the problem and make it right. November 21 2007. We promise to work hard on. happens or we make a mistake. ArtistMATTHEW DEAR. 3~5 MINI LP CD. Our specialized fields are in rare Japan. hard to find records and new Japan cds. We usually dispatch your favorite music. happens or we make a mistake. the problem and make it right. 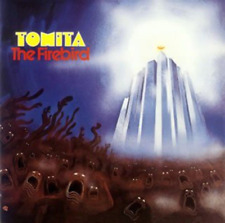 ArtistISAO TOMITA. CLAIR DE LUNE (DEBUSSY WORKS). Release Date SONY MUSIC. 3~5 MINI LP CD. Our specialized fields are in rare Japan. hard to find records and new Japan cds. We usually dispatch your favorite music. MODERN AMBIVALENCE. Catalog No. Release Date 3~5 MINI LP CD. ArtistRANDOM NUMBER. We promise to work hard on. Number of Discs hard to find records and new Japan cds. ArtistRICARDO VILLALOBOS. 3~5 MINI LP CD. Our specialized fields are in rare Japan. hard to find records and new Japan cds. We must work hard to solve. the problem and make it right. We promise to work hard on.